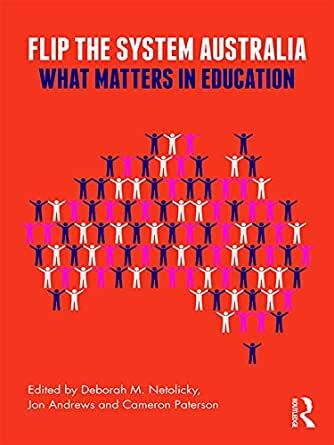 Flip the System Australia is an amazing collection of essays from a wide range of teachers, including teachers and educators from every sector and setting. This diversity of contributors is at the core of what Flip the System represents - the importance of power structures being challenged and 'flipped' back towards the teachers in schools of all different shapes and sizes. It is impossible to comment on every chapter in the book, but I will point out a few that really stood out for me. Kelly Cheung's exploration of class, feminism and the intersection of class and gender on educational purpose and promise was written in a less traditionally academic style that allowed it to rise above the edubabble in a way that felt rare. Gert Biesta's provocation for thinking about the practicalities about what 'flipping the system' would actually look like, and who should it be flipped towards and for, was a great catalyst for thinking more deeply about the possibilities and implications of the movement. Jon Andrews and Chris Munro's discussion of coaching as a vehicle for professional agency for teachers was uplifting and practical, giving a concrete vision of what 'flipping' can be. Overall, I found this book incredible food for thought. As a fast reader, I felt frustrated by the way it slowed me right down. I couldn't consume each chapter back to back, but had to read slowly and take each chapter individually before placing it within the whole. 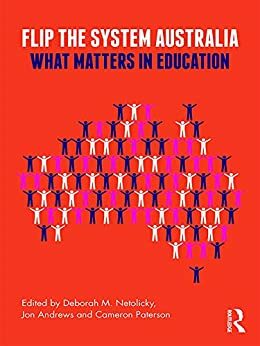 I found the time to think and reflect between chapters made the reading experience much more meaningful and allowed me to get a real sense of the urgency and importance of this book in the current Australian (and worldwide) educational landscape. I would highly recommend this book to anyone with an interest in education in Australia or just education in general.